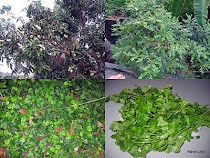 Wash the coriander(kothamalli) leaves and chopped into small pieces. Fry the dhals, chilli asafoetida with 1tsp oil. Add coriander leaves,salt and grind into paste. Serve this chutney for dosa, idli and curd rice.